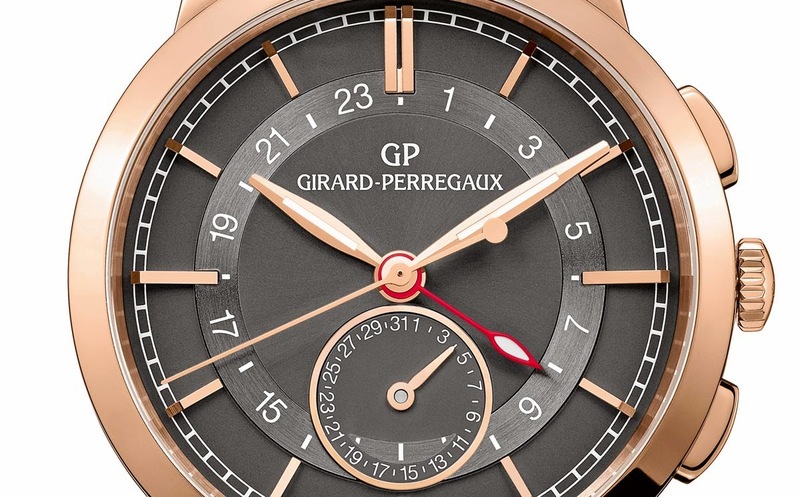 Girard-Perregaux is now adding a new model with dual time function to its 1966 collection with the 1966 Dual Time. The polished pink gold case is comfortable on the wrist thanks to the diameter of 40 mm and ergonomic curved lugs. The two push buttons at 2 and 4 o'clock are used for the dual time function. They enable the wearer to quickly adjust the red hour hand which indicates the second time zone by moving over a central disk with embossed satin-finish, graduated over 24 hours. The date is positioned at 6 o'clock on a micro dial rimmed with a fine godron which visually enhances the dial with its construction on more levels. The date can be adjusted via a corrector located on the case band at 8 o'clock. The Girard-Perregaux 1966 Dual Time is available in two dial versions: off-white (ref. 49544-52-131-BBB0) or anthracite gray (49544-52-231-BB60). Visible through the sapphire caseback, the Girard-Perregaux 1966 Dual Time incorporates the new self-winding GP03300-0094 calibre beating at 28,800 vibrations per hour (4 Hz) and offering a minimum power reserve of 46 hours. 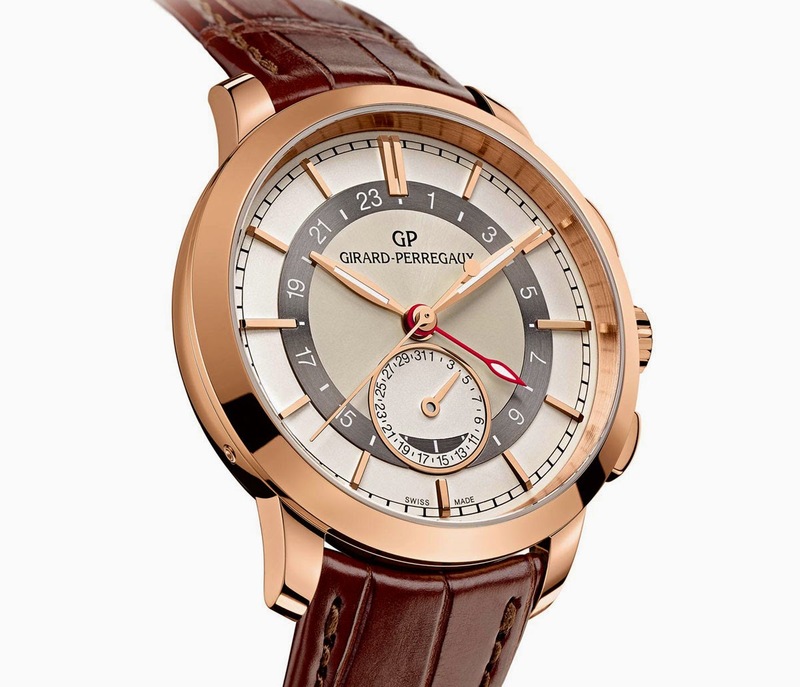 The Girard-Perregaux 1966 Dual Time can be matched to a brown or black alligator strap and has a retail price of Swiss Francs 24,900 excluding taxes. 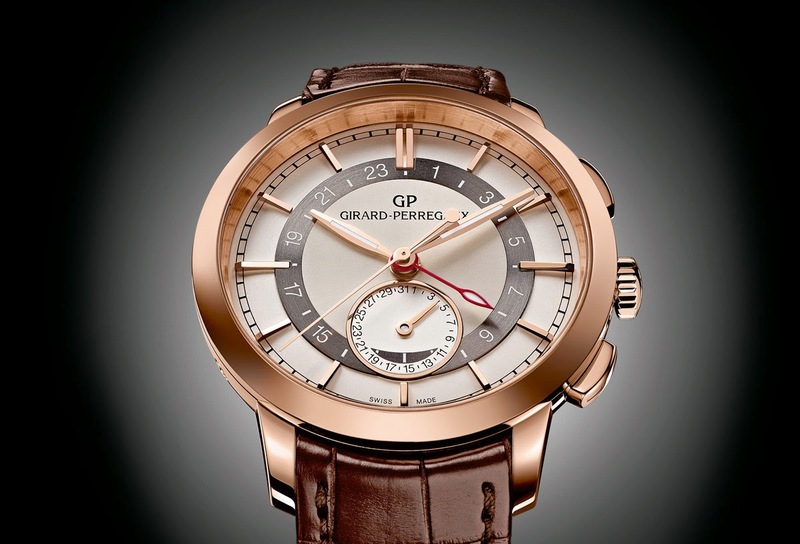 Girard-Perregaux 1966 Dual Time. 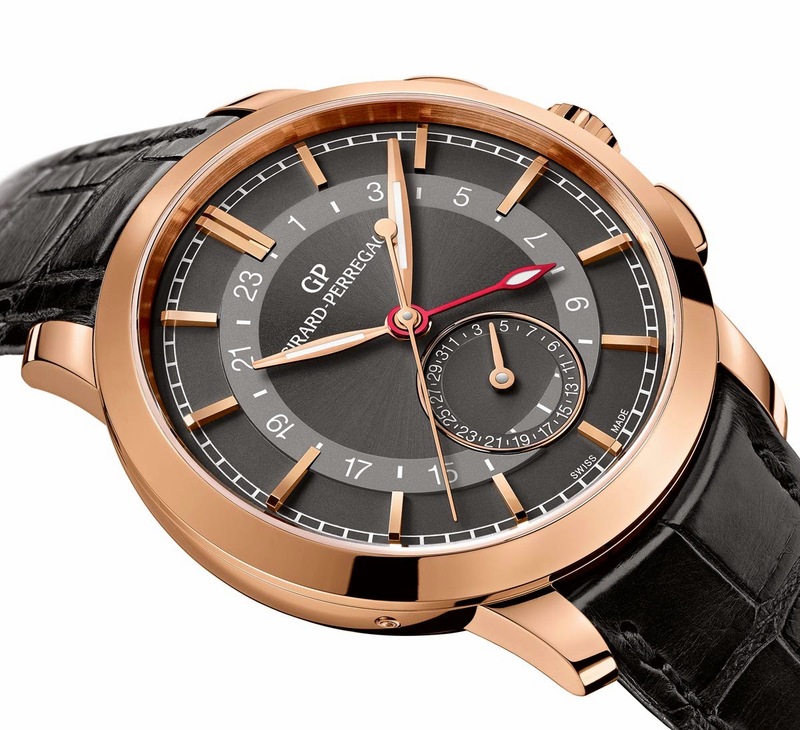 Girard-Perregaux is now adding a new model with dual time function to its 1966 collection with the 1966 Dual Time. 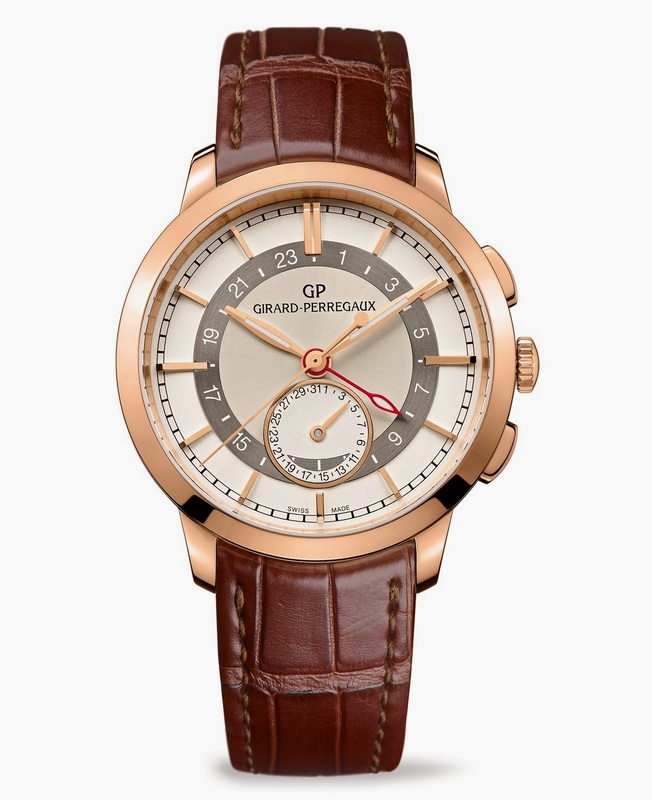 The Girard-Perregaux 1966 Dual Time is available in two dial versions: off-white (ref. 49544-52-131-BBB0) or anthracite gray (49544-52-231-BB60). 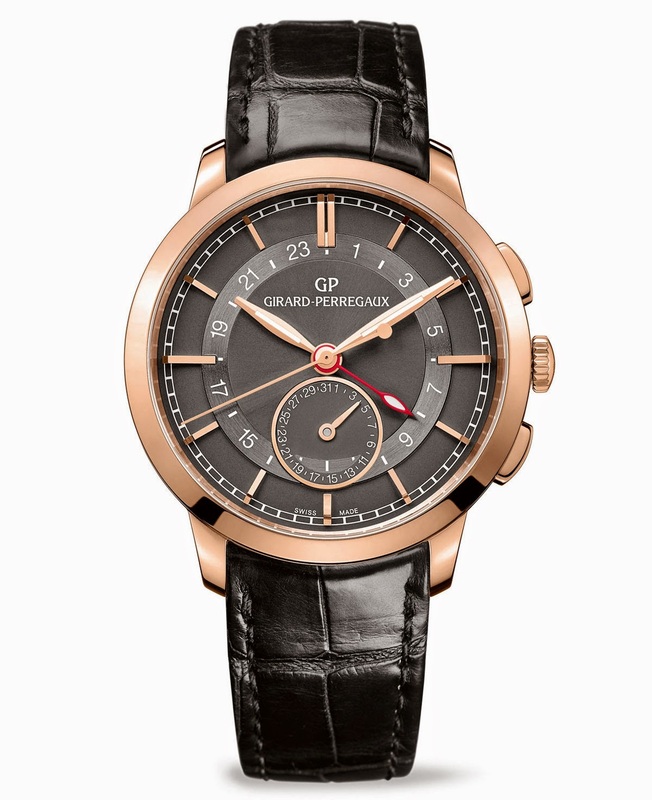 The Girard-Perregaux 1966 Dual Time is matched to a brown or black alligator strap and has a retail price of US$ 27,400.